Peter Bornstein has recently published an article in the American Bar Association's Litigation Magazine on "How To Persuade a Cold Judge." He has been featured by CNN on its America's Premier Lawyers Series. 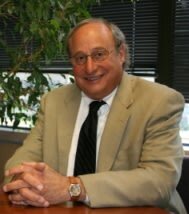 Peter Bornstein is a trial lawyer who has tried to verdict over 250 cases in his legal career. He teaches lawyers trial skills for the National Institute for Trial Advocacy in Louisville, Colorado; is AV rated by Martindale Hubbell, and has been designated a Colorado Super Lawyer for 2009 and 2010. Additionally, he has worked to advance legal professionalism through a joint committee of the Denver and Colorado Bar Associations. The Colorado Supreme Court has appointed him to serve on hearing panels adjudicating lawyers accused of violating the Rules of Professional Responsibility.